"What's that on your chest, cadet?!?" Here's why I think those pre-election "pledges" and signed papers are so pointless. 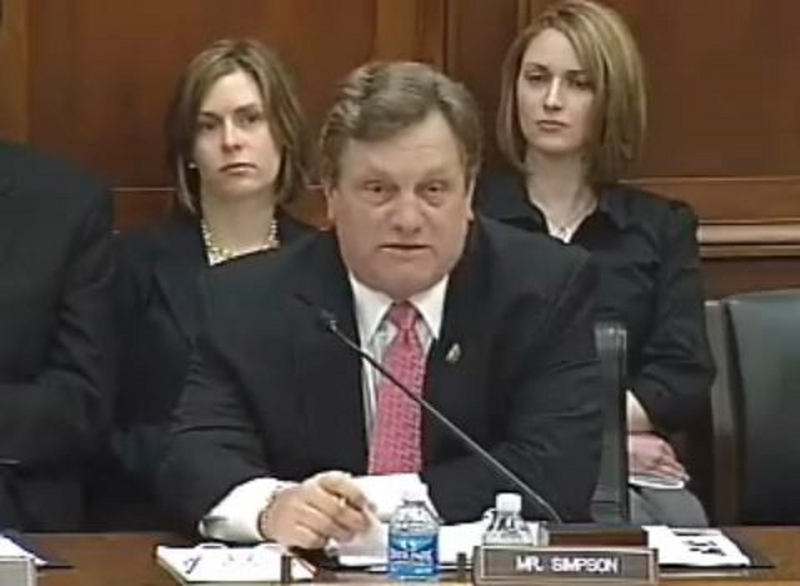 Republican representative Mike Simpson from Idaho is part of a group of GOP congressmen who sent a plan to the "congressional supercommittee" supposedly working on deficit reduction. Included in the plan are tax increases. Simpson signed a pledge to not raise taxes while running for reelection, and now he's pushing a bill that would do exactly what he pledged not to. When pressed on that point, he said “When I signed the pledge not to raise taxes... I didn’t know it was a marriage agreement that would last forever.” Given the tendency toward divorce, particularly in politicians, I don't know why he'd figure a marriage "agreement" lasts forever in any case. But here you have it: when a politician is in Washington, when he's in office and several years from reelection, they just abandon pledges unless they're of a certain character and integrity which doesn't need a pledge to begin with. A pledge is worth the paper it's written on, about .004 cents a sheet.